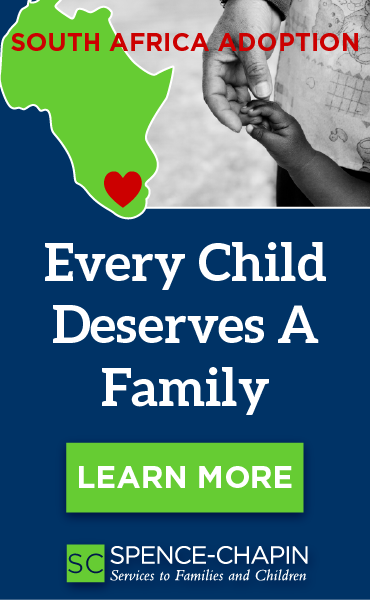 The journey to adopt a child is personal and, while many of the steps are predictable, there are other aspects of the process that vary from family to family. Knowing what to anticipate and the resources to draw upon are critical to making the process the best it can be. Dave and Rachel shared how important it was to have a strong support system in place during their adoption journey. Initially, they perceived adoption to be a “last resort” to build their family. They felt some stigma associated with not being able to conceive a child and an underlying feeling of guilt for having the desire to exhaust ALL fertility treatment options available before turning to adoption. They also dreaded the thought of having to put renewed time and energy into an adoption after feeling exhausted and a sense of failure following numerous rounds of fertility treatment. Fortunately, they had a lot of supportive friends who had been touched by adoption, and that is where their adoption story began. Over the next few months, Dave and Rachel contemplated adoption, read books, started trainings, completed an application and began the home study process. They were excited, ready, and no longer felt feelings of dread! 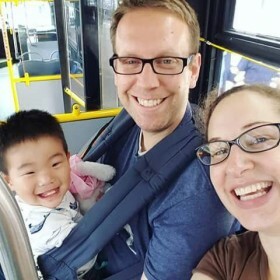 Dave and Rachel initially felt that they would pursue the domestic adoption program, but after careful research and thoughtful discussion, they concluded that domestic adoption brought about some unexpected concerns and situations that they did not feel prepared for. Thus, it became clear to them that Barker’s South Korea program was the way to go. The adoption process can be long and filled with many ups and downs. Dave and Rachel did everything that was expected of them to prepare for becoming a Forever Family through adoption. They attended trainings, fully participated in the home study process, attended waiting parent meetings and spent the day at Barker’s annual foster care and adoption conference. At the conference they were able to gain insight from birth parents and adoptees; learn how many adoptees relate to their parents; gain techniques dealing with and responding to the various opinions that may surface from people once they learned they were adopting; and the importance of authentically connecting with their child’s culture, which helped them be better prepared parent a child from another culture. Within the year long process, Dave and Rachel experienced many emotions, starting from the joy of their receiving their referral, the excitement of preparing for their new child, and the pain of losing that opportunity after the birth mother decided to parent the child. Despite this disappointment, Dave and Rachel remained committed to becoming adoptive parents and were open to receiving a second referral. They continued to receive the support of their family and benefited from the support and services of their placing agency. Soon after, they were matched with a little boy from Korea. Dave remembers having overwhelming feelings of joy as he and Rachel were sitting in the plane with their new son, Zac. Bringing Zac home was a joyous new experience! Dave explained that the first few months after bringing Zac home were not without challenges and they were thankful for the support their placing agency offered them. He and Rachel struggled to adjust and to create the balance necessary to help their son transition while also maintaining their professional responsibilities. They supported each other, openly discussed these new and necessary adjustments with their social worker, and persevered. Every day, they felt more secure and Zac showed increasing evidence of becoming more comfortable with them. Just as Dave and Rachel received support and guidance there was a level of support that they knew they had to provide Zac. The process of adoption comes with a lot of “unknowns,” but one thing is certain- you do not have to do this alone! Many times we think “We got this!” and that sentiment is a great attitude to have when beginning the adoption journey and is a pillar to maintain your foundation on. But the reality is that it is critical to have supportive people lifting you up, and an ethical, competent, and supportive adoption agency to guide you through the process. The right agency will advise you, will help you through those long moments of waiting, lift you up when you feel like you cannot go further or you have reached the end, give you resources and support when doubts and questions arise and of course, celebrate with you through every milestone on the journey to your Forever Family!